Independent file photo Members of the SMSU football team take the field before their Oct. 20, 2018 game against Northern State University. The Mustangs announced Wednesday the addition of 38 student-athletes to their program as part of National Signing Day. 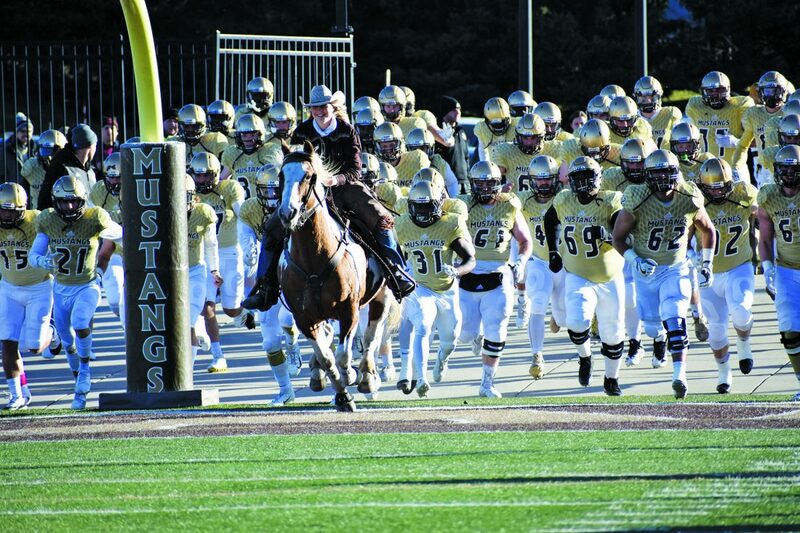 MARSHALL – Southwest Minnesota State University head football coach Cory Sauter announced the addition of 38 student-athletes to the Mustang program to continue their academic and football careers at SMSU on Wednesday. Wednesday’s announcement came on the first day student-athletes are allowed to sign National Letters of Intent. Sauter said he expects more to sign in the next few days to bring SMSU’s total to more than 40. Wednesday’s list of signees includes high school and transfer student-athletes from 15 different states including Minnesota (11), California (4), Iowa (3), Nebraska (3), Washington (3), South Dakota (2), Arizona (2), Wisconsin (2), Michigan (2), Illinois (1), Indiana (1), Kansas (1), Florida (1), Nevada (1) and Oregon (1). Several of the signees have already enrolled at SMSU for spring semester. SMSU is scheduled to begin spring practice on April 1 and will open the 2019 season tentatively on either Thursday, Sept. 5, or Saturday, Sept. 7, hosting Minnesota State University.